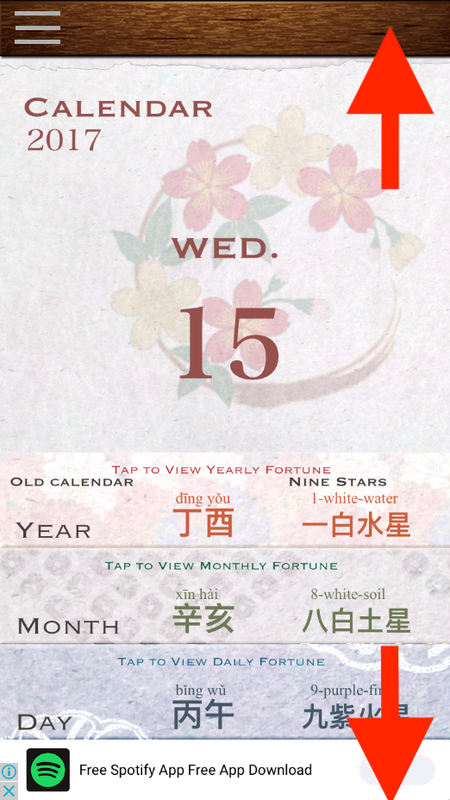 You can see fortune immediately as soon as you input your birthdate. 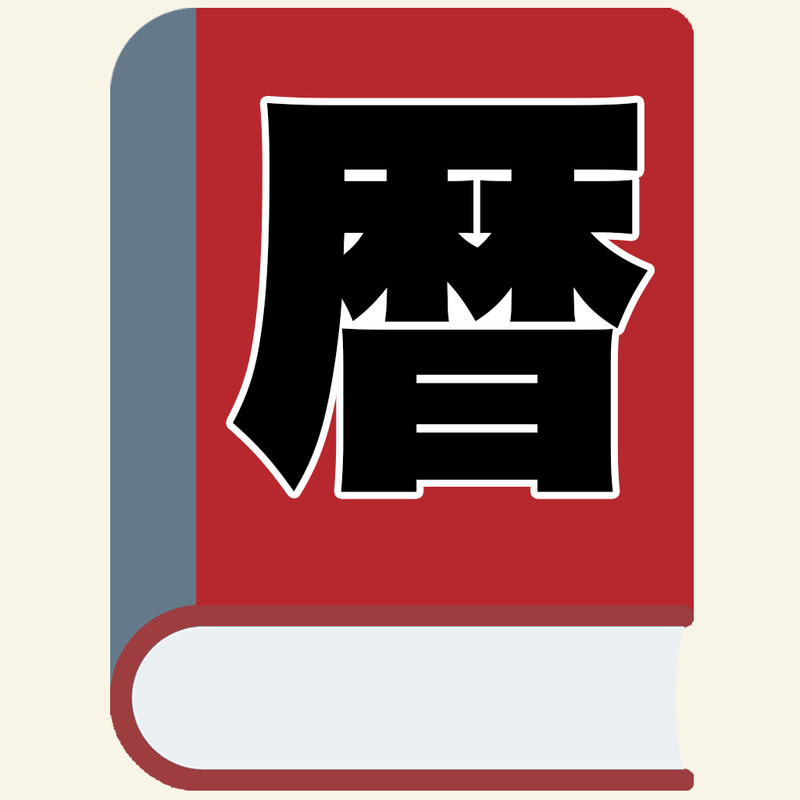 Since the total combination is tens of millions of patterns or more, it will be your own fortunate biorhythm. 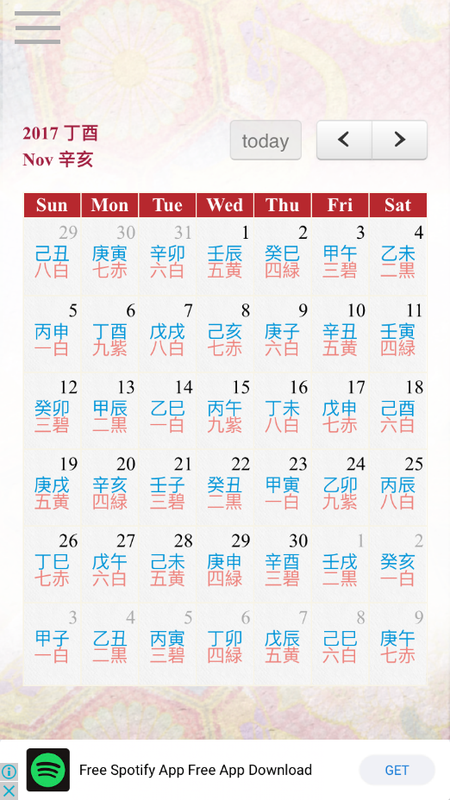 Because it is a daily calendar, you can check the fortune of the future of tomorrow and the day after tomorrow as well. If you want to know the fortune of one day after a few months, you can also fly and watch a few months ahead on a monthly calendar. Setting your birthdate, you can see the luck of that date. First You’ll see “Birthdate Setting” like a left screen at First Launch. 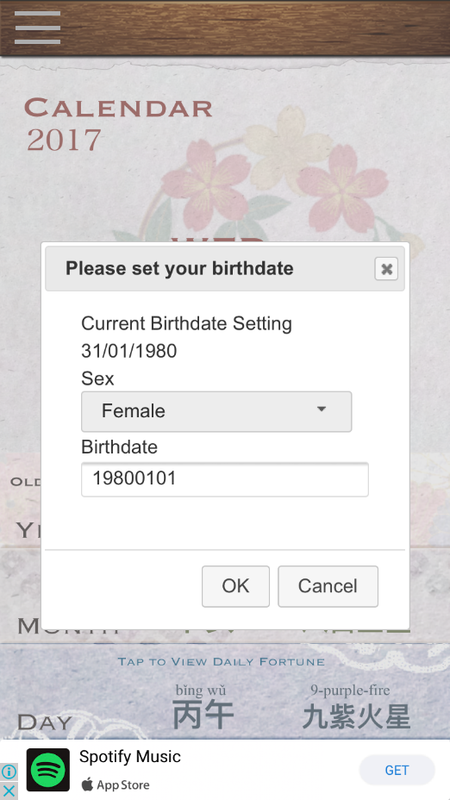 If you input your birthdate correct, dialog disappeared and you’re ready to see the daily luck. 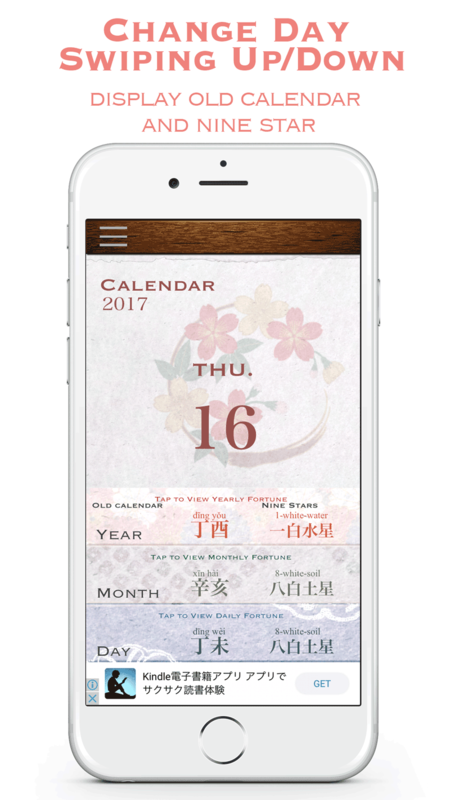 Like a Rip-off Calendar, swipe up to see next day and swipe down to see previous day. 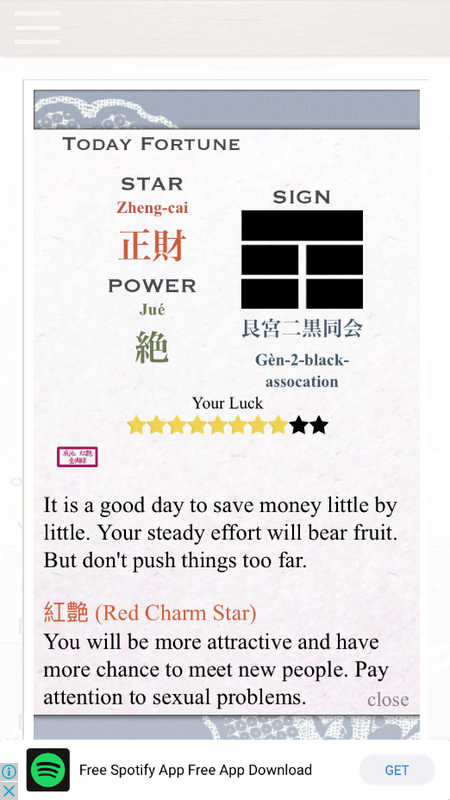 Tap of three band of old calendar and nine star, you’ll see each daily, monthly, yearly luck respectively. 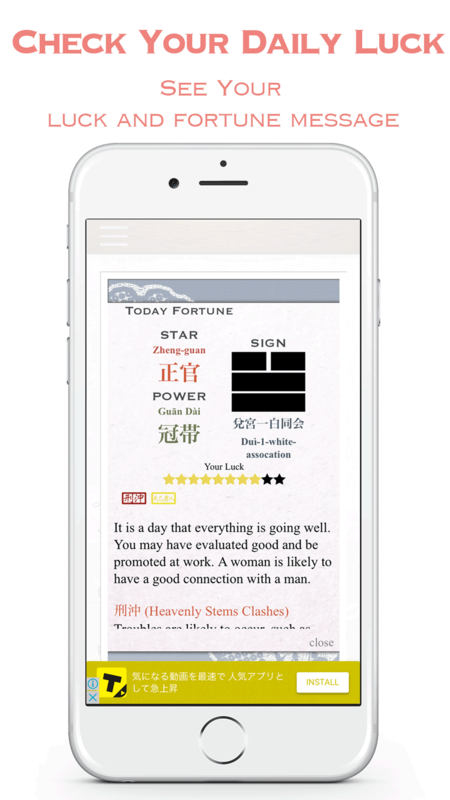 Each of the luck result is based on Chinese four pillar and Japanese nine star fortune method. 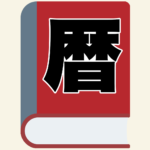 If luck text is too long to display scroll them to see all. 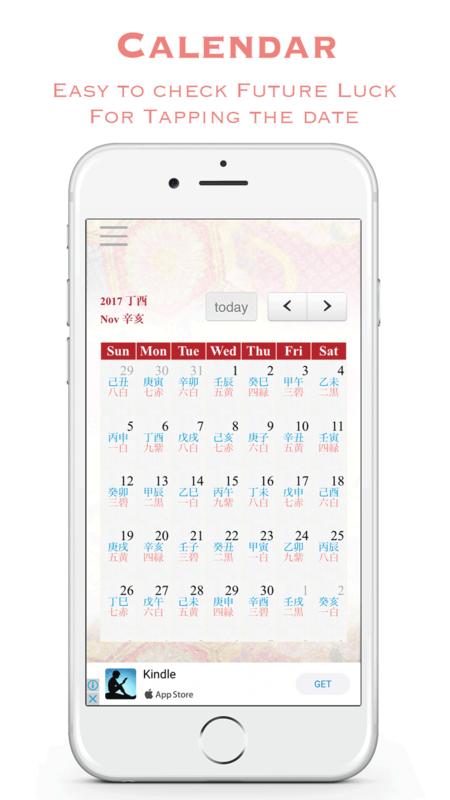 It has menu on the upper-left corner, you can view monthly calendar by clicking calendar menu. Go future date or past date and clicked somewhere on day you can jump to the selected day.